If someone were to ask me what is the single most popular painting project has been in the last 5 years I would definitely say kitchen cabinets, no question. 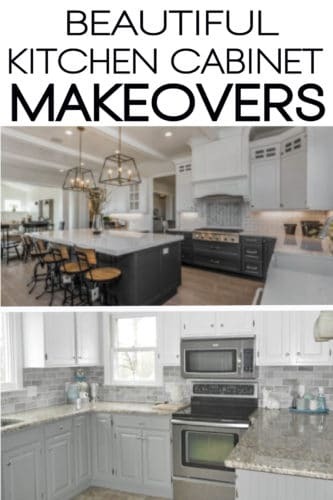 Between the current obsession with HGTV shows, fixer-upper projects and chalk paint, cabinets are finally getting the attention they deserve, and for good reason. New cabinets are expensive. We are talking thousands of dollars for a full new kitchen set of beautiful cabinetry. Paint, on the other hand, is cheap. Kitchen cabinets are the single greatest surface area in any kitchen, so they define the style of your room by default. Change the cabinets, change the entire room. 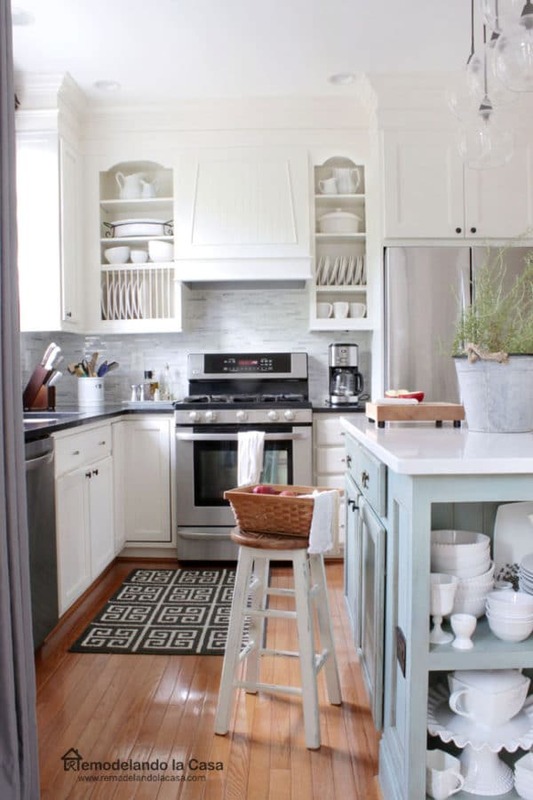 So, if you’re in desperate need of a kitchen update, the cabinets are a great place to start. 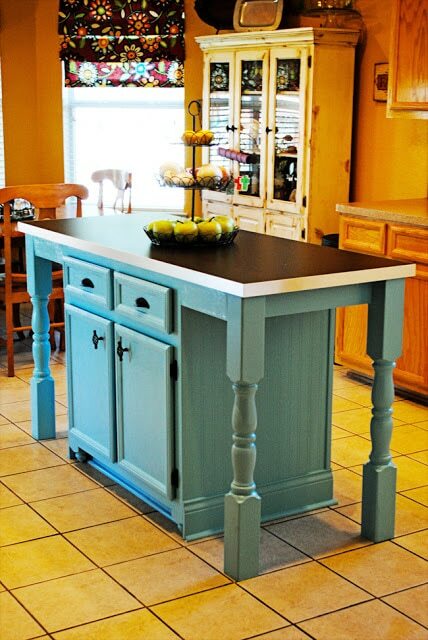 You may even find that with a fresh coat of paint on your cabinets, the rest of the kitchen is instantly elevated. 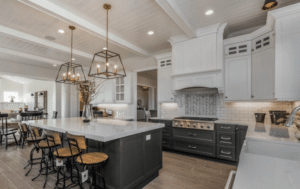 All of the sudden the flooring that you hate or the countertops that aren’t your favorite look a little better surrounded by beautiful cabinets. 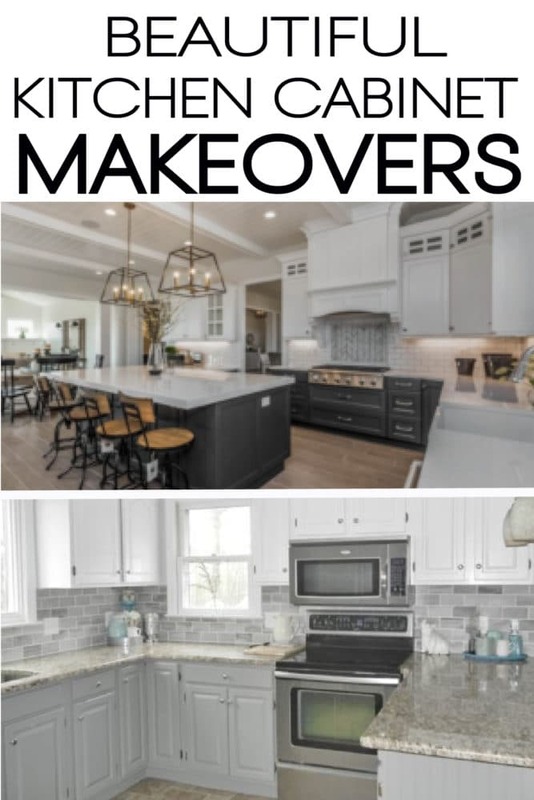 If you’re considering a cabinet makeover, here is a little eye candy to get your wheels turning on what possibilities lie behind those oak cabinets you’ve been staring at for years. Ok, in the interest of full disclosure I must say this kitchen was professionally done. 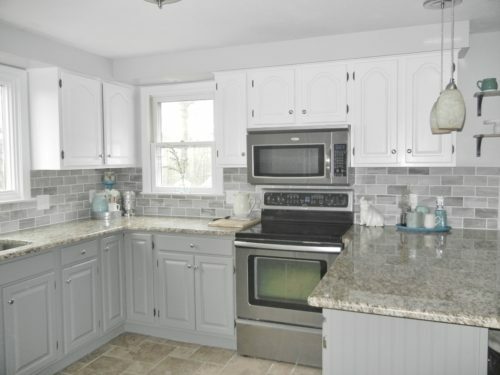 The cabinets were painted by professionals (which is still cheaper than brand new cabinets). If you’re nervous about painting them yourself, call for a paint quote from a professional. What a difference it makes! Can you believe that is the same countertop? I had to look at it several times to be sure. 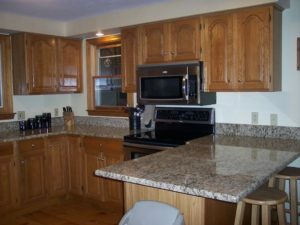 They added the beadboard and the new backsplash, but the flooring and countertops are the same and the kitchen has a whole new look. Sometimes tackling the entire kitchen can be overwhelming and unrealistic. After all, you still have to live there, you still need to be able to eat and prepare meals, care for your family, etc. So start with just the island. In this case they went above and beyond to add a little more space and storage, but just the paint job alone makes a huge difference. 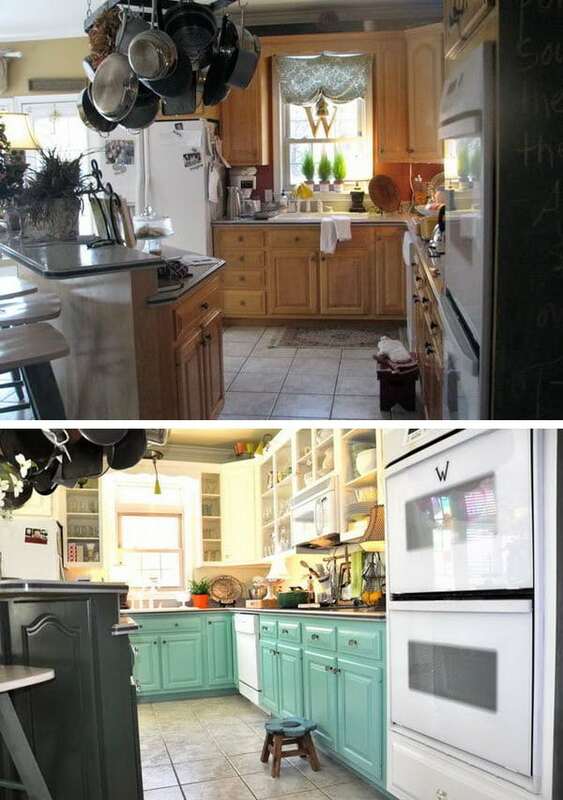 Yes, this is the same kitchen. No, I promise that it really is. It looks like a completely different space, and it is, but it’s in the exact same house. The difference is astounding. 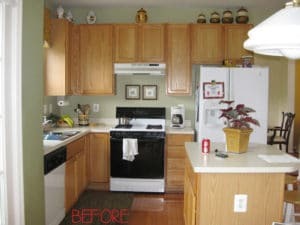 One of the biggest changes in this kitchen makeover is that she covered up that empty space above her old cabinets. It makes the ceilings of the kitchen look higher and the open shelving on the sides is one of my favorite looks. 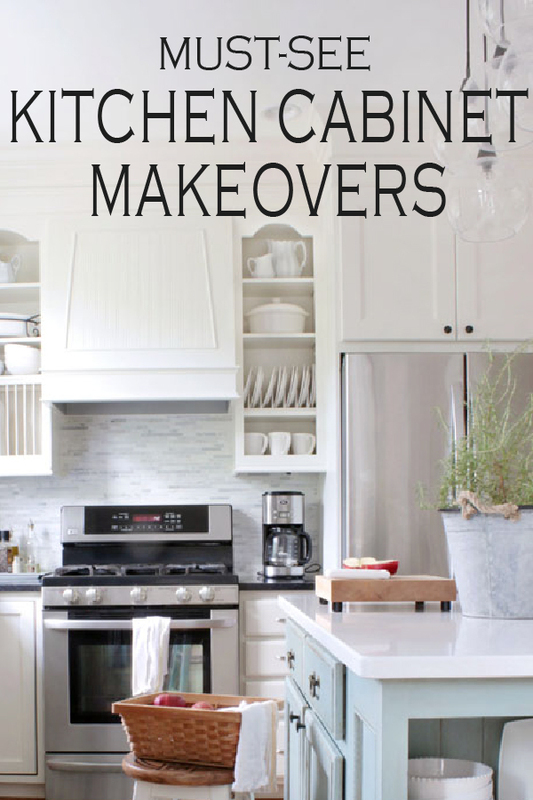 Cabinet makeovers aren’t restricted to just the kitchen. 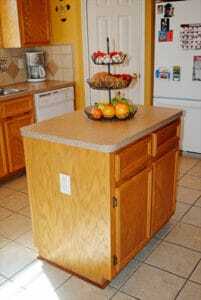 Other cabinetry items can benefit from the same process. 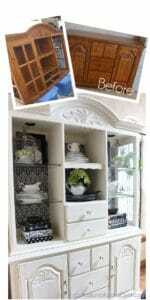 This china cabinet went from the 80s to the 2000s instantly with a painted update. I love the shabby chic look with the open shelves and beautiful patterned background to make the pieces pop. 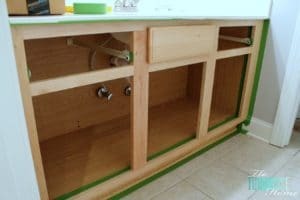 5 Bathrooms are another great spot to start painting cabinets. Bathrooms and kitchens add the most resale value to your home. Putting the time and effort into updating these two areas will pay off in the long run. 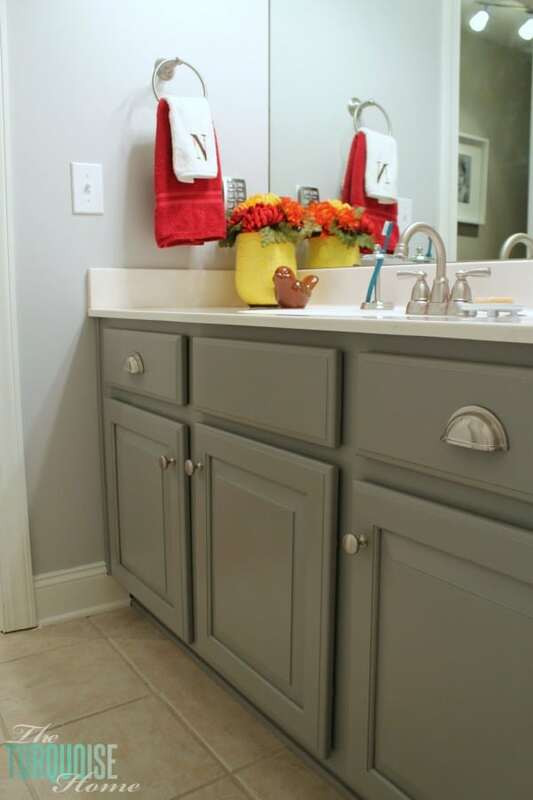 This bathroom looks elegant and upgraded in this beautiful grey makeover. 6 Can’t decide on a color? No problem. 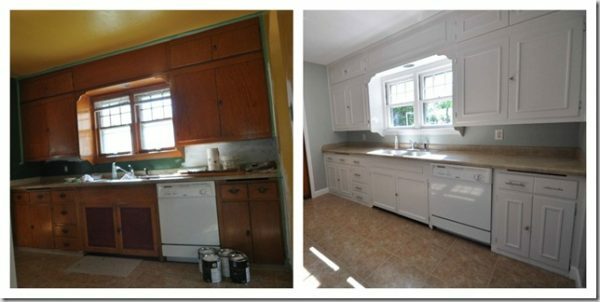 Sometimes two-toned cabinets can be tricky, but this makeover pulled it off! Teal on the bottom, white on top and a black island may sounds crazy, but it created a beautiful retro vibe that is completely swoon-worthy. This photo proves how multiple colors can be done beautifully. 7 Painting your cabinets also gives you the opportunity to make additional upgrades like molding. This DIY shows how to take flat panel cabinets and give them a most custom look with $50 in molding, beadboard wallpaper, and a little bit of paint. Writing this article has given me the inspiration to repaint my cabinets! Grab your keys and let buy some paint!